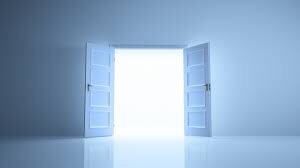 I’m grateful for the open doors that await me. Slowly I’m approaching, preparing, and admiring the journey. Seeking direction with each step along the way. My heart cycles between up and down, irregular yet full and empty at the same time. Overtime. But my mind is at ease with acceptance of the uncertain. Daily overdosing on faith and trust as I breathe, profess, and progress. Today may be my entrance through the door. And if so, may my praises be heard at your doorstep. Even as I walk through toward the next journey that awaits me, I’ll admire the beauty in the path along the way.